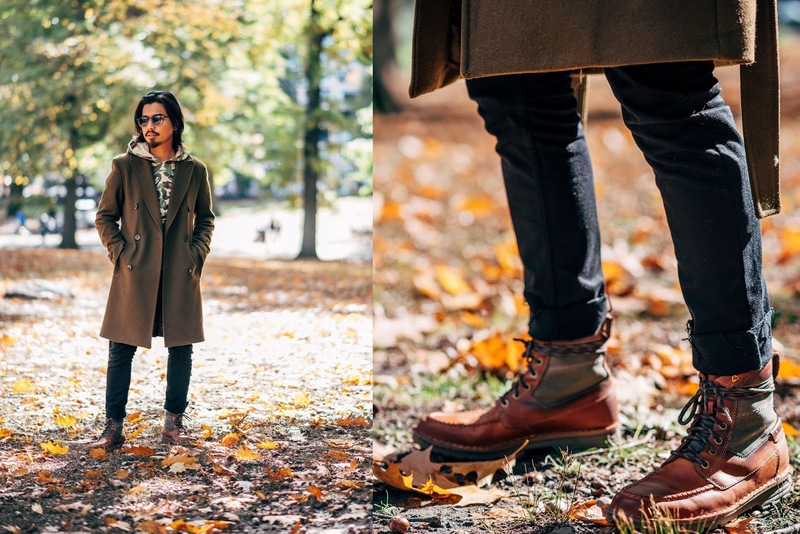 Autumn In New York w/ Clark's Shoes. Autumn is definitely my favorite season of the year and it's time to fall in love with layering again. At the first hint of orange leaves, I immediately unpacked all my sweater and jackets from my storage unit with excitement! However, it hasn’t truly been chilly enough to layer up til just about now. Personally, I feel my style is always challenged during the colder months but not because of lack of options. Instead it’s cause Autumn doesn’t seem to last long enough to showcase all of my looks! But alas, I’ll try! Let's get down to business shall we?! I'm super excited to announce my recent partnership with Clarks this season! This is my second time working with them and it’s been a blast as usual. 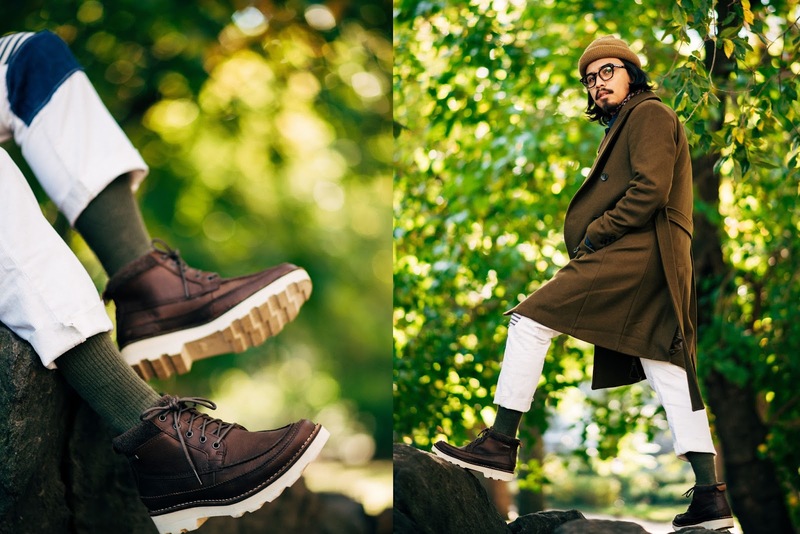 Last time, I partnered with Clarks while visiting Boston but this time, I stayed home bound and created NYC inspired outfits. For this project, I created 3 seasonal looks around 2 distinct boots. 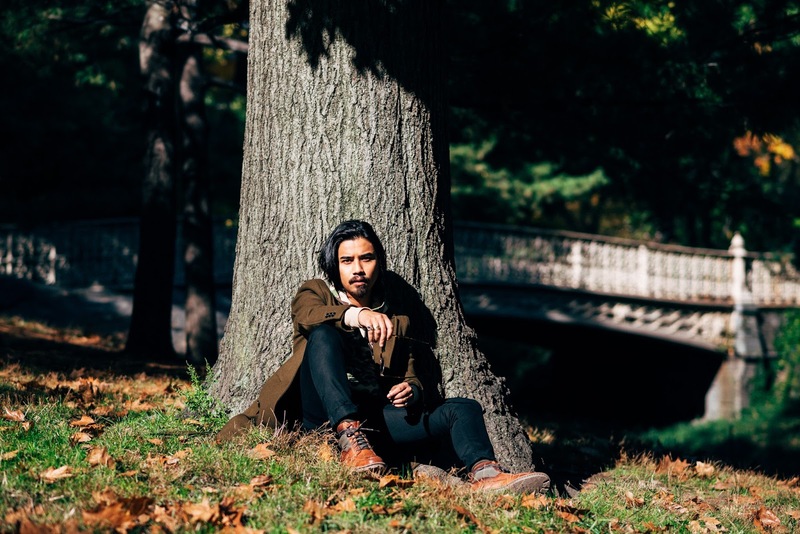 My first look was shot in Central Park and was inspired by the natural color and textures of the park. 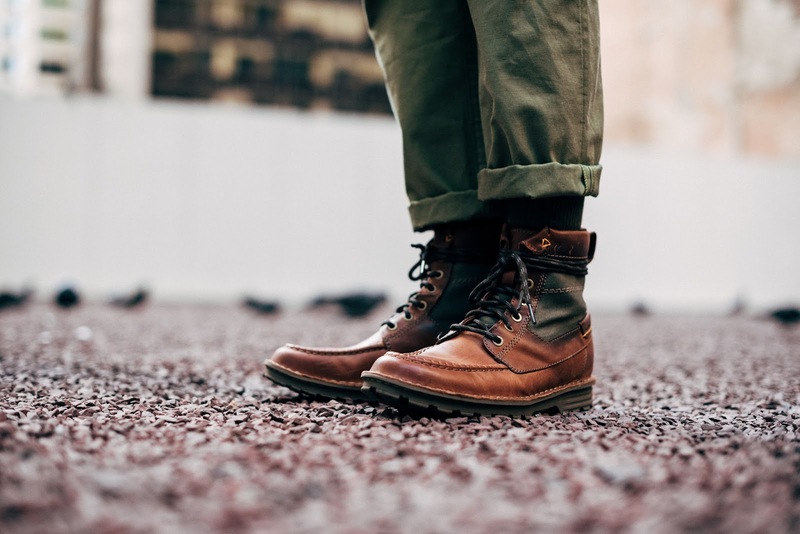 The Sawtel Hi boot is a play on a classic army boot because of its two toned details and so I built a subtle Fall military theme into my outfit. Can you even see me?! 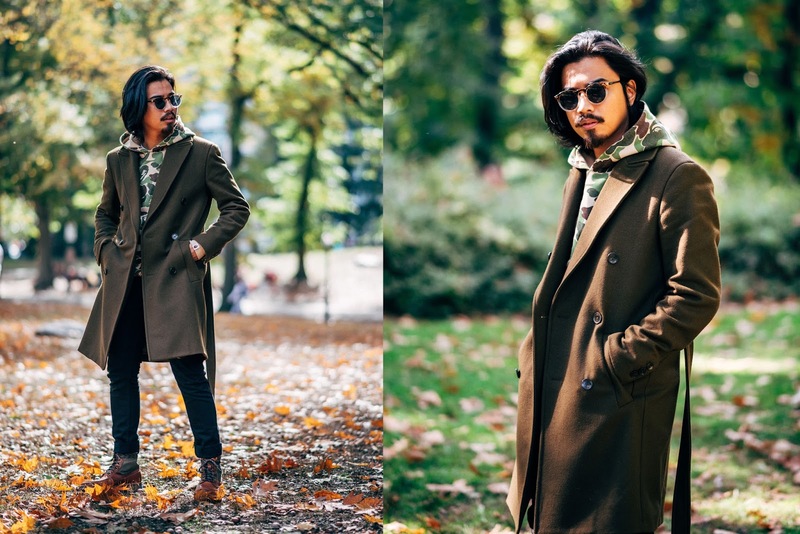 I wanted it to camouflage with the setting… I also kept warm and relaxed with an olive green overcoat as outerwear. Black jeans are my go-to and contrast against the boots, making them pop. 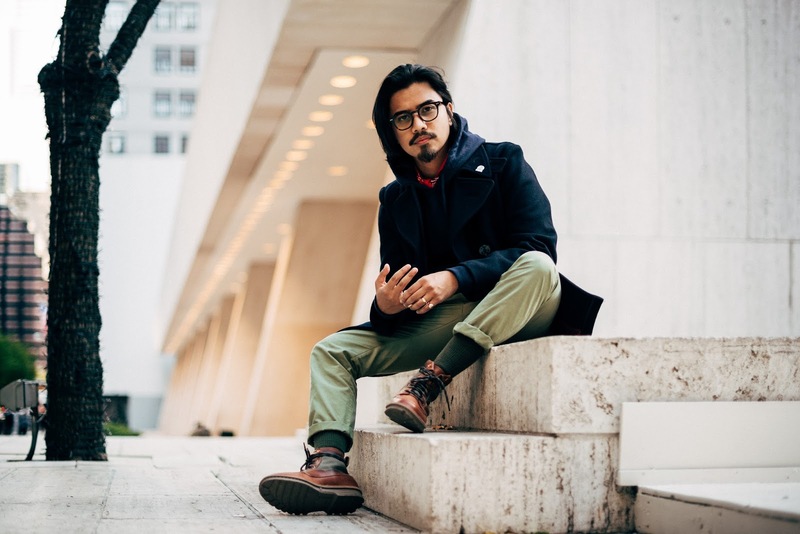 The second look is my take on Japanese-American inspired style. 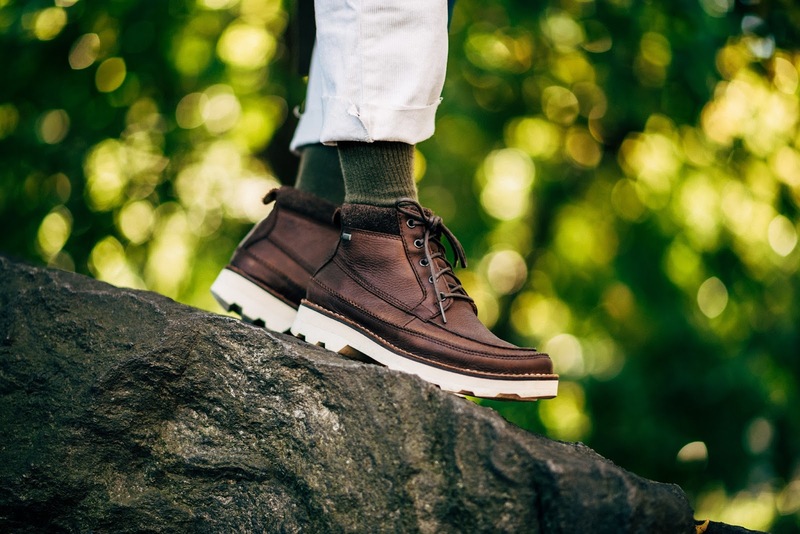 The Korik Rise GTX is a heavy duty shoe and required bold, heavy duty pieces to pair. These boots would look amazing with classic denim or white jeans. I also appreciate these boots because they remind me of vintage work boots that are durable, comfortable and eye catching. The shoes help to complete a look which is quirky and practical at the same time. My last look mixes NYC and Mid-Western style. This look, once again featuring the Sawtel Hi boots, would be my uniform if needed. If I was a cartoon character, fixed on the page with just one outfit… this would be it! 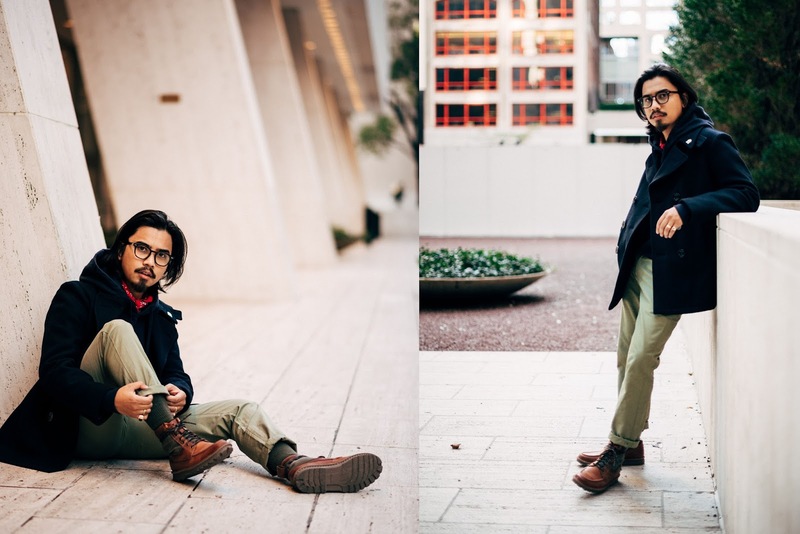 You can never go wrong pairing brown boots with a classic navy pea coat and hoodie. 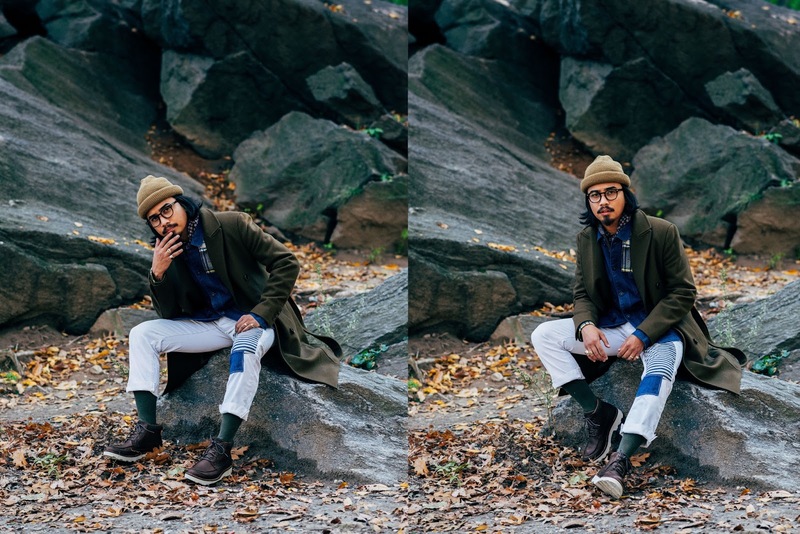 There really is nothing more chill, stylish and “fall” than that. The hooded sweatshirt under a statement jacket is sort of a constant throughout these series of looks. I was in part inspired by Matt Damon and Ben Affleck in Dogma. A little nod to Boston where the Clark's HQ is located! This is a sponsored post for Clark's.